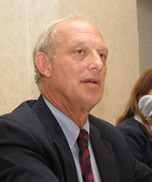 Douglas Smith is Assistant Director of the International Trade Center, University of Texas at San Antonio. He has worked in international consulting for 25 years, focusing on import and export development, marketing channel management, international marketing strategy and market and economic research. His consulting experience involves a broad range of industries, ranging from industrial products to processed foods. He has consulted for small businesses and a broad range of organizations, including IBM and Johnsons Wax, Business Round Table, and the foreign trade agencies of Thailand, Portugal, and Colombia. His international experience includes projects in Western Europe, South America, Asia, and Africa. Before joining the Center, he was Vice President for Consulting at Global Trade Information Services, an international trade information company; a member of the International Business Department, University of South Carolina, and consultant with Frank Lynn & Associates, an international marketing channel management advisory company. He was a contributing editor to Textile Asia Magazine and has published in Atlanta International Magazine, Twin Plant News, and Business Horizons. He holds a M.A. International Relations and a M.B.A. in Finance and International Business from the University of Texas Austin, and is a Certified Global Business Professional.